Whether you go solo or decide to use a guide, your journey to awesome sound begins with the CDT Audio ES-GOLD Series.The ES-GOLD Series is your portal to the best, fastest solution to premium full-fidelity world-class automotive sound systems. From an extensive list of CDT Audio top-quality audio components, only the best have been selected for exclusive distribution under the CDT Gold banner. With CDT GOLD premium components and revolutionary sound-stage recreation philosophy, no compromise sound systems can be realized. 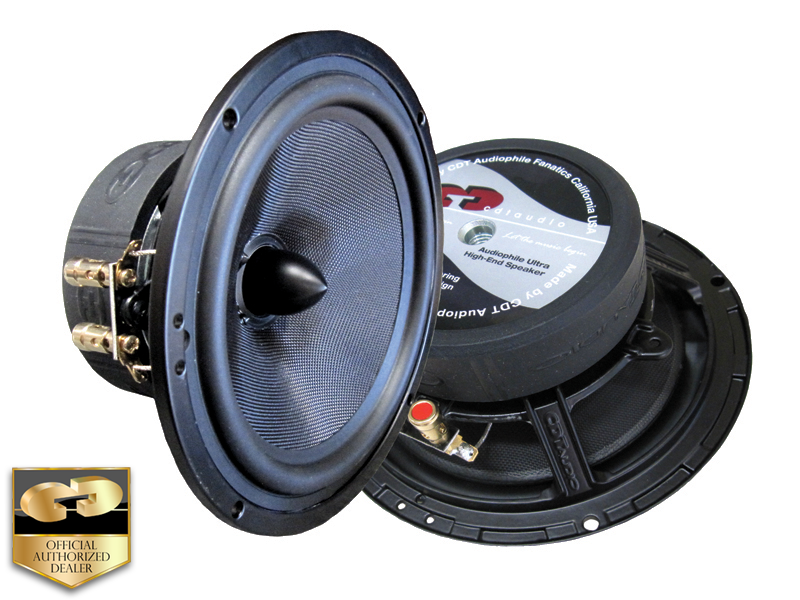 ES-6CV 6.7 “Contoured Dispersion Technology” midwoofer is so efficient, it can play much higher into the midrange frequencies than almost ANY OTHER CAR SPEAKER! Smooth response to 7kHz - 6 1/2 octave! The cone of the ES-6CV mid is made of a light yet rigid mixed Kevlar/fiberglass. The type of cone material audiophile listeners consider the best for smooth and natural sound quality, as well as durability and lasting life span.